Some resources are very detailed, others skim over; use them with care. Some of the resources listed are in Japanese. Well, if you don’t read Japanese, you can (i) look at the photos; (ii) use online translation tools (inaccurate but get you there somewhat). Enjoy. Remember – if you mess up your lens, it is your responsibility. Lens Repair (1): Some Thoughts – To begin the process of lens repair. 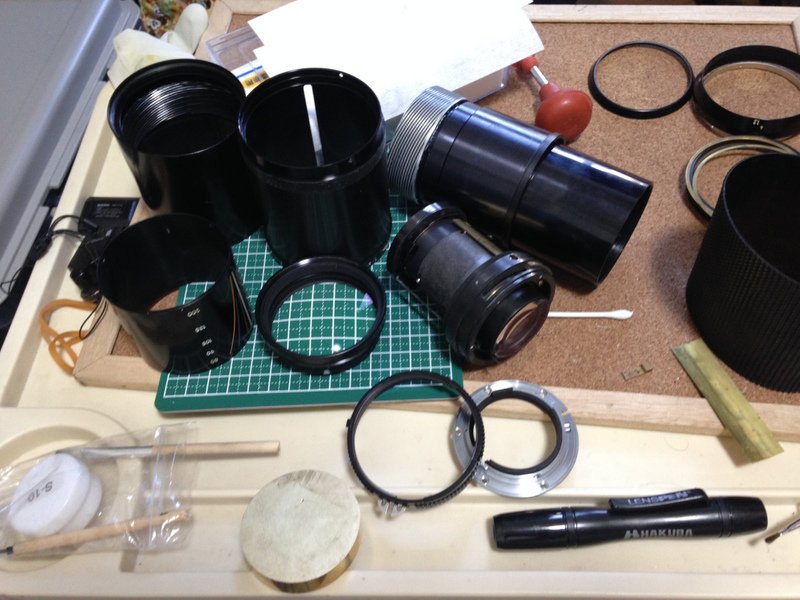 Lens Repair (2): Major Parts of a Lens (Manual Focus) – Do you know where you’re going to? Lens Repair (3): Working from the rear… – Accessing the rear part of the lens. Lens Repair (5): Working the Helicoids – Alignment, alignment, alignment, and, you guessed it, alignment. 50mm f/1.8 Nikon Lens Series E – Disassembly and Cleaning (updated 1 Apr 2017) – the start of the new budget era. 80-200mm f/4.5 Zoom-Nikkor.C Disassembly and Cleaning – The lens that changed the perception that zoom lenses were convenient tools and could not be relied upon to perform to an excellent level. 200mm f/4 K Disassembly, cleaning and overhaul. The lens that came from the lineage started the telephoto era of Nikon F.
Richard Haw (https://richardhaw.com/) has a good write-up on a number of topics, highly recommended read. Few and far in between for MF lenses, but some AF ones are available. Thanks for consolidating and sharing, I have been looking the repair guide of the Nikon 24-85mm 2.8-4.0, any chance where I can find it? Thanks!